Ben Aston‘s new horror short “He Took Off His Skin For Me” is actually his grad film from the London Film School. This short is based on the short story by Maria Hummer. I saw the video and thought, what is this? This horror short may not be for everyone but those of you who do watch it will enjoy it. Tell us what you think of Ben Aston‘s horror short in the comments below. Update: Sheila Kearns found guilty! Judge Charles Schneider scheduled sentencing for March 4. The maximum penalty for each felony count is one year in prison and a $2,500 fine. However, probation is the presumed penalty for the low-level felony. Kearns, 58, showed the movie to students ranging in age from 14 to 18 on April 11, 2013. 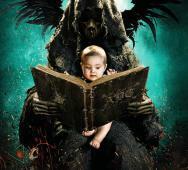 Sheila Kearns, age 58, was a substitute teacher who is now facing jail time because she showed the class the ABCs of Death (2012). I know the horror anthology film was horrible and has really graphic content but is this too much? I can make jokes that some of the makers of the horror shorts should have gone to jail but this is a serious matter. Do you think this went overboard or do you think that Sheila Kearns deserves to go to jail? Tell us your thoughts in the comments below and full details on the case are below. 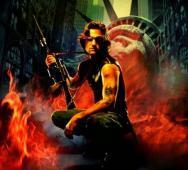 Official news is that John Carpenter is going to be the Executive Producer of the Escape From New York Remake movie. 20th Century Fox won the bidding war with Andrew Rona and Alex Heineman‘s The Picture Company to produce the film. Not only is John Carpenter the Executive Producer but also has “creative influence” over the movie. Tell us what you think of John Carpenter‘s involvement in the Escape From New York Remake. 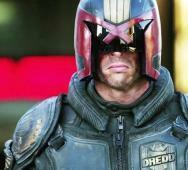 I know many people thought Dredd (2012) was a good shot at nailing the popular Judge Dredd character. I mean, Karl Urban played a great Judge Dredd in my opinion and I really would like to see a Dredd 2 movie soon. Recently IGN caught up with Dredd (2012) screenwriter Alex Garland for updates on the Dredd 2 movie project. Garland basically said that he is not apart of the project and is not sure what is going on with Dredd 2. Read below for the full details on what Garland had to say and reveal. 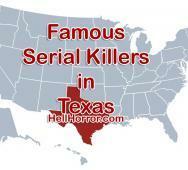 Do You Know These Famous Texas Serial Killers List Names? It is alarmingly scary that you can live in a state that has had many serial killers and not even know about it for years. We decided to round-up a List of Famous Texas Serial Killers. This Texas Serial Killers List includes most of the known serial killers in Texas, and we tried to include as many big names as possible. Police are always investigating serial killer murders of victims even after several years have passed. Of course, we cannot add every new serial killer but if you know of a serial killer who did not make the list, please add their name(s) in the comments below. Also, if you want to see a particular state, please let us know by requesting the US state in the comments below. Horror Block is a monthly subscription service that sends you a mystery box filled with horror related items monthly. The box usually contains a horror magazine, collectibles including horror toys and other cool items. 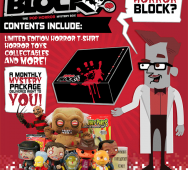 Horror Block is from the people who brought us Nerd Block. Now let us talk about what was in this month’s Horror Block. Jason Vorhees will be making is return to the video game world in the form of an all new video game that is a co-operative and competitive multiplayer experience of of predator and prey game styles. Sean S. Cunningham shared his views on the game below. 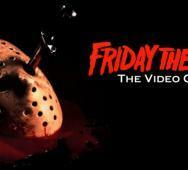 The Friday the 13th game is currently in development and will release on multiple platforms sometime in October 2015 for Halloween. The new video game will tie in events from the classic films along with events from the upcoming Friday the 13th TV series. 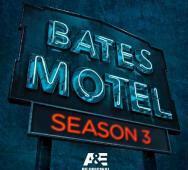 A&E’s Bates Motel Season 3 will premiere this upcoming March 9, 2015. The new season will have 10 episodes with returning cast members including Freddie Highmore as the neighborhood killer Norman Bates, Vera Farmiga as Norman’s mother Norma Louise Bates and Max Thieriot as Norman’s half-brother Dylan Massett. Tracy Spiridakos (NBC’s Revolution TV series) stars as Annika Johnson as interesting newcomer to the town. Jennifer Kent‘s The Babadook (2014) will get it’s Blu-ray, DVD and various digital platform release on February 16, 2015 in the UK thanks to Icon Film Distribution. This movie shocked many as Kent’s directorial debut. The special features include various featurettes and trailers; full details below. 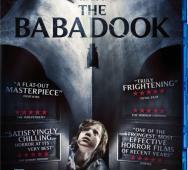 Starring in The Babadook are Essie Davis, Noah Wiseman and Daniel Henshall. I personally enjoyed the film and cannot wait to see more from Jennifer Kent. 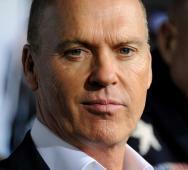 Former Batman and recently Birdman, Michael Keaton is doing great again and now he is in talks to join the Kong: Skull Island (2017) movie. Keaton will join Legendary Pictures’ King Kong movie with Tom Hiddleston and J.K. Simmons. The focus of the film will be to explore the mysterious Skull Island and the huge monsters. Kong: Skull Island will release in movie theaters March 10, 2017. Yeah, that just happened. 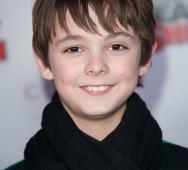 Max Charles (pic below) replaces Ben Hyland as Zach Goodweather in FX’s The Strain Season 2. 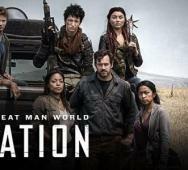 Carlton Cuse, who is the executive producer and showrunner of The Strain said that he needed a very well versed young actor and Max Charles is the way to go. Cuse’s full statement below. Hyland did a great job but we know familiar Charles can handle it. I am just so stoked to see Guillermo Del Toro‘s The Strain Season 2, just start filming already, I need an advanced screening for my vampire fix. 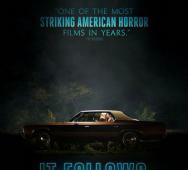 It Follows (2014) is a very highly anticipated horror movie and I am pleased to announce that Radius-TWC will be releasing this film on March 27, 2015. 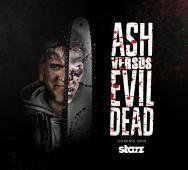 Director David Robert Mitchell did a great job and from what I am hearing, it is great. Starring in new film It Follows are Linda Boston, Caitlin Burt and Heather Fairbanks. 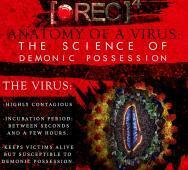 [REC] 4: Apocalypse (2014) just released in theaters and VOD but today we have a infographic that details the Anatomy of the Virus: The Science of Demonic Possession. REC 4 is the final movie in the franchise and this infographic should sum up everything you need to know. Jaume Balaguero directs while Manuela Velasco, Paco Manzanedo and Hector Colome star. James Wan's The Conjuring 2 Gets a New Writer!? James Wan‘s The Conjuring 2: The Enfield Poltergeist (2016) has a new writer in David Leslie Johnson. Johnson has been hired to rewrite the script for New Line Cinema and Warner Bros. Now the original script was an early draft by James Wan, Chad Hayes and Carey Hayes with revisions made by Eric Heisserer. I feel better that this is not a complete redo but more of an ironing-out-the-bugs kind of rewrite. The Conjuring 2 is still set to release in movie theaters on June 10, 2016 with Ed and Lorraine Warren (Patrick Wilson and Vera Farmiga) behind the case of 2 demon possessed sisters. Director Don Michael Paul has taken on the Tremors 5: Bloodline (2016) and Michael Gross has recently announced that the release date will be pushed up to October 2015. The October 2015 release date is still a little open with it safe to say that the movie will release to DVD, Blu-ray and Digital HD on this timeframe, do not hold your breath on a movie theater release date but who knows what can happen. Cast in Tremors 5 are Jamie Kennedy, Michael Gross and Natalie Becker. The Travel Channel is sending Josh Gates (Destination Truth) back out into the world to unravel more world mysteries in the Travel Channel’s Expedition Unknown Season 1. The 2-hour season premiere will air on Travel Channel at 9:00 pm ET/PT on Thursday January 8, 2015. I was a real big fan of Destination Truth and it was something that the family could watch together on a slow day. 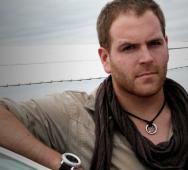 Josh Gates is a great host and I am looking forward to watching Expedition Unknown, my son cannot wait! AMC’s The Walking Dead Season 5 returns for the end half of the season. Today we have scored the new artwork that features Rick Grimes (Andrew Lincoln) and Daryl (Norman Reedus) covering the rear. 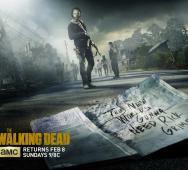 The artwork also features a map and written on the map is “The New World’s Gonna Need Rick Grimes”. The Walking Dead Season 5 returns on Sunday February 8, 2015 and you know close to 20 million viewers will be watching. Breaking Glass Pictures will release the DVD and on various VOD services for A Cry From Within (2014) on March 17, 2015. The DVD art is included below and although I kind of like the title font, I am not digging the overall art at all. Starring in A Cry From Within are Eric Roberts, Cathy Moriarty, Deborah Twiss which is co-directed by Zach Miller and Deborah Twiss. The DVD special features will include the standard deleted scenes and cast interviews.